Diesel generators are an ideal way of providing enough energy aboard to keep your batteries fully charged while providing power for larger loads such as AC cooking, dive compressors etc. While this acts as an on-board power station ensuring you always have energy, the disadvantage to diesel generators is their size, weight and noise. 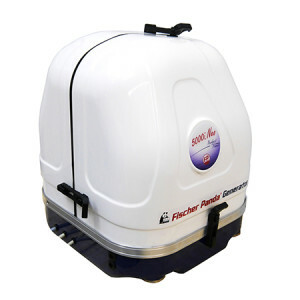 Enertec offer the range of Fischer Panda diesel generator sets. 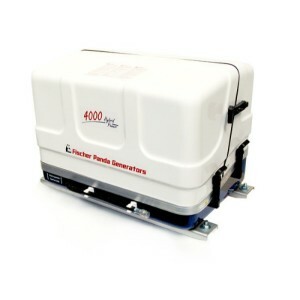 German engineered to be the smallest, lightest and quietest generators available in the market. 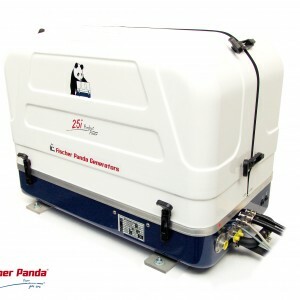 While Fischer Panda have offered their range of compact, lightweight and quiet fixed rpm ‘x’ Series generator sets for over 30 years, it is the development of the inverter technology, variable speed ‘i’ Series generators that have helped Fischer Panda lead the world with the latest technology in diesel generator sets. The ‘i’ Series range have set new standards when it comes to compact size, lightweight, quiet operation and overall performance of a diesel generator. The ‘i’ Series range offer generators from 4kW to 50kW while in the ‘x’ series and ‘HD’ Series models from 6.8kW to 170kW are available. Enertec Marine has been supplying the NZ marine, mobile and remote location markets with high quality energy solutions and desalination equipment for over 30 years. Not only do we represent a range of high quality brands, we also provide a complete installation and service facility.